As is well known, since 1948 the UN has debated and set a wide canopy of universal human rights norms. Through the Universal Declaration, the two Covenants, and various human rights conventions, optional protocols, guidelines, and resolutions, the international community has produced thousands of words across hundreds of documents, stipulating, in some detail, what States should do to better promote and protect human rights. The question is: have States taken meaningful steps to turn those words into actions? Until recently the answer to that question would have been a resounding ‘no.’ The long-standing international human rights ‘implementation gap,’ was regularly acknowledged but never practically addressed. 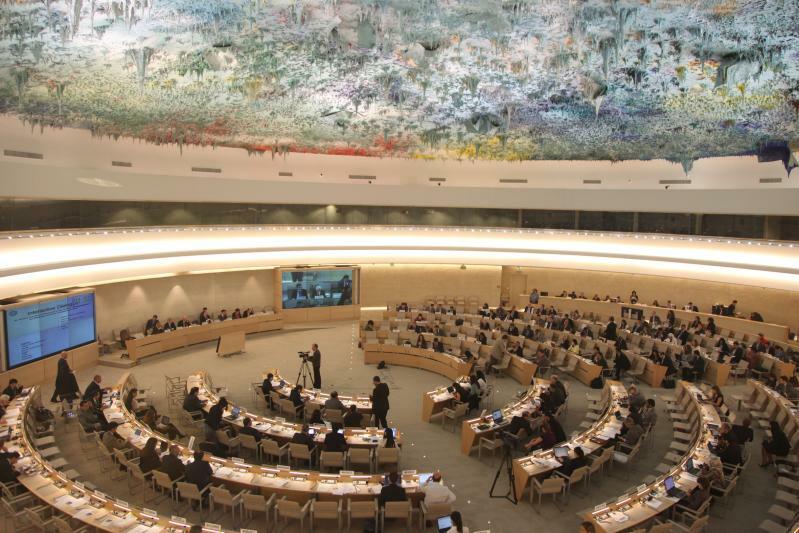 The establishment of the Human Rights Council in 2006 was partly designed to finally move the international community towards practical action. The then UN Secretary-General famously called on the new body to lead the world from ‘the era of declaration’ to the ‘era of implementation.’ Yet for most of its first decade the Council and the wider human rights pillar failed to heed this call, content instead to continue to generate hundreds of resolutions every year, call for hundreds of new reports from OHCHR, establish more norm-setting Special Procedures mandates, generate thousands of recommendations (from UPR, Special Procedures and Treaty Bodies,) etc. During this time, there was an almost complete absence of any discussion about what happens to all these recommendations once they have been generated in Geneva – let along any discussion on how States could better turn them into practical on-the-ground improvements in policy and practice. In 2015 and 2016, that started to change. That included steps at international level (sometimes called ‘upstream’ actions – including the better clustering and presentation of recommendations, improved delivery of capacity-building support, etc.) and, importantly, steps at domestic level. Key to the latter has been growing international interest in so-called ‘national mechanisms for reporting and follow-up’ (NMRF) or ‘standing national implementation, coordination and reporting structures’ (SNICRS). These are a new kind of national structure or mechanism, created by the State itself (i.e. the government), specifically to translate international norms and recommendations into domestic action and improvement. As part of this growing interest, in 2015, the Council adopted resolution 30/25 on ‘promoting international cooperation to support national human rights follow-up systems and processes’, sponsored by Brazil and Paraguay, which requested ‘the High Commissioner to organize an intersessional half-day panel discussion,’ during the October-November 2016 session of the UPR Working Group. (It is worth noting that this, in itself represented an important innovation for the Council – it would be the first time a panel would be convened outside a regular Council session). Following the adoption of resolution 30/25, on 8th November OHCHR and the Council convened an intersessional panel discussion on promoting international cooperation to support NMRFs/SNICRS. The growing use of IT based systems to collate, present (to the public), share, and coordinate the implementation of, and reporting on, UN human rights recommendations (e.g. SIDERECHOS in Ecuador, SIMORE in Paraguay). Evolving systems tend to cover both UN recommendations and human rights recommendations/judgements from regional mechanisms. Although usually the executive branch (generally through the ministry of foreign affairs) is in charge of coordinating NMRFs, the participation of all governmental agencies and branches of the State was an important aspect highlighted by the panellists. For instance, SIDERECHOS was designed as a guide for public policy operators, legislators and judges at the national and local levels, by making available to them all relevant international human rights standards. Civil society must be engaged and fully involved in implementation and reporting, preferably via permanent consultation platforms within the NMRF. NMRFs must be about more than reporting – their central function should be to systematise follow-up and coordinate the implementation of recommendations. The development and application (within the NMRF) of national human rights indicators (with assistance from OHCHR). For example, Mauritius has developed a database comprising human right indicators on, inter alia, racial discrimination, protection of women, children and persons with disabilities, and poverty alleviation. These serve to track the progress of the country vis-à-vis its international human rights obligations. All panellists also highlighted the importance of international cooperation to support the development of NMRFs. The vital support provided by OHCHR was recognised by Ecuador, Paraguay and Mauritius. Paraguay also drew attention to bilateral cooperation, including South-South cooperation.